Here are a few great tips for growing jalapeno peppers in home vegetable gardens. Learn how easy it is to plant, grow, care for, and harvest jalapeno peppers in your garden! Most annual vegetable seeds such as jalapeno peppers need a little moisture and warmth to germinate. Wait until the soil temperature warms up before sowing your pepper crop. Sow seed into finely raked soil or start seeds indoors in trays. Sun-loving peppers germinate best with a little bottom heat. Place trays in a warm place for several days. 1. 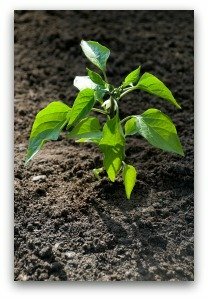 Jalapeno seed germination takes 10-14 days. 2. Days to harvest are typically 80-100 days for seeds. Transplants take generally 60-80 days. 3. Spacing between rows should be 20-36 inches. 4. Leave a space between plants of one to two feet. 5. Plant seeds at a depth of ½ inch. Jalapeno seeds germinate slowly during cool months. Start seeds six to eight weeks before transplants are needed in the garden bed. 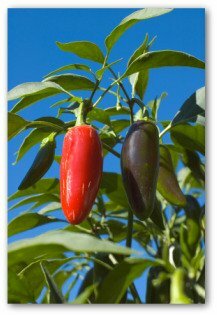 Growing jalapeno peppers is best in sandy soil enriched with organic matter. Fertilize every few weeks during the early growth stages and every month thereafter. If pepper plants produce leaves but little fruit, try a low-nitrogen fertilizer. 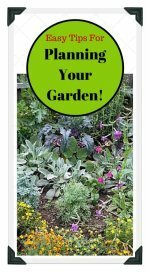 Plant your peppers at the far end of the vegetable garden from the potatoes is a good idea because potato bugs like peppers for a change of taste. Major pests are pepper weevil, frog-eye leaf spot, aphids, and caterpillars. An old ironing board makes an excellent potting table. You can adjust it to the required height and it can be stored conveniently away when not in use. Once the young pepper shoots develop, be a bit more sparing with the water. The plants need the moisture but are also prone to damping off. Mulching helps keep the fruit clean and stretches the time between necessary watering. Wait until after the first month's growth to mulch, otherwise the ground will also retain the cold, which makes the plants produce later. Peppers left to reach maturity have higher capsaicin content than those picked early. Harvest by snapping from the plant. Plants may grow and produce for several seasons. Continue care while peppers are productive. Serve jalapeno jelly with plain crackers and cream cheese or with cold meats. Hot peppers pickled in vinegar once opened should be stored in the refrigerator. 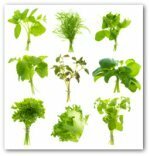 They may be drained and used as relish, added to cooked dishes, or served as a part of an antipasto. Save the spicy vinegar and use it in salad dressings, a seasoning for fried fish, or as a condiment. 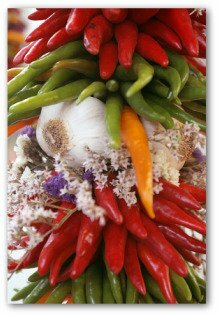 Asthma sufferers who regularly eat chili peppers or hot sauces may have less frequent and severe asthma attacks. 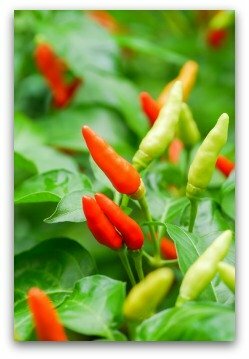 Capsaicin, the chemical ingredient in growing jalapeno peppers gives them their heat. Their heating action opens blood vessels throughout the body, stimulates nerve endings, and keeps airways open. Yellow, red, and dark green vegetables contain carotenoids, which protect cells against oxidation and may break down cancer-causing chemicals. The compound found in growing jalapeno peppers is a powerful anesthetic. 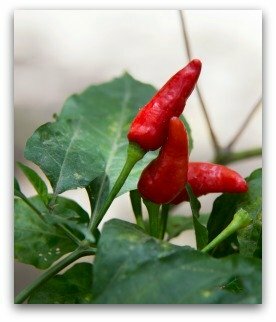 Capsaicin is praised by many herbalists for its impressive effectiveness against chronic pain, especially as a remedy for arthritis. It blocks a protein in the body that serves as a neurotransmitter of pain from traveling to the brain. 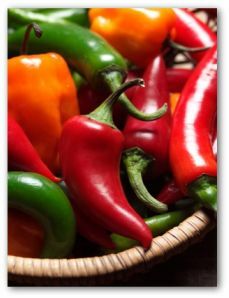 Hot peppers are said to increase the "fire" in the body as anyone who bites into jalapenos can attest to! The same qualities are ascribed to ginger and other spicy foods. The alkaline compound in growing jalapeno peppers is much greater than in the bell variety.